Cassandra is the author of fantasy, action-adventure and romance. She has a passion for magical settings, and loves to transport her readers to unexpected places. She enjoys creating bold, untamed and endearing characters who struggle to overcome their flaws. Her enthusiasm for dramatic weather – preferably while sitting next to a cozy fire — is incorporated into her books. 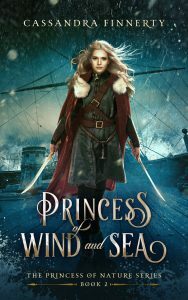 She enjoys writing about mystical powers, lush landscapes, and stormy seas.